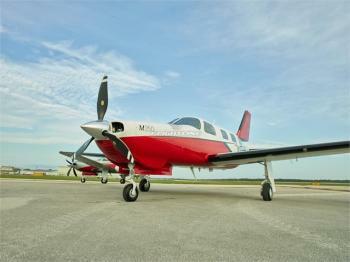 Immaculate Piper M350, configured for Europe, loaded with options, only 600 hrs TT. Latest G1000 avionics, Synthetic Vision, Enhanced Autopilot, DME, Mode S, ADS-B IN & OUT, TCAS, TAWS, Weather Radar, StormScope, Satellite Datalink, FIKI ice protection, Premium interior. Two private owners since new. No damage history. EU VAT paid! Engine(s): Turbocharged LYCOMING TIO-540-AE2A (350 HP) Total fl......more. Factory NEW aircraft, ready for delivery in May 2018! Fully equipped! Luxurious GLACIER white leather interior. Overall silver metallic base color – ready for your own paint scheme and graphics. Contact: Lubomir Cornak, Mob. EU +420 602 335 994 Mob. USA +1 239 628 0910......more. 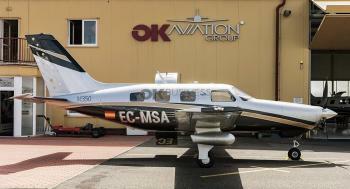 Engine(s): Lycoming Turbocharged TIO-540-AE2A 350 Horsepower Don't miss the chance to own this aircraft. 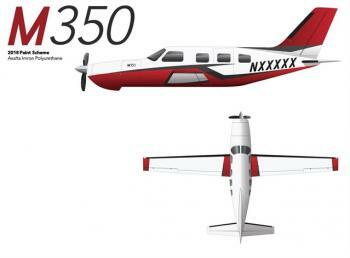 Click here for more details..
2019 Piper M350, Delivery Time Only. Q1 2019 Delivery. Still Time to Pick Your Colors! Airframe: Delivery Time Only, Delivering Q1 Engines: Delivery Time Only, Delivering Q1......more.